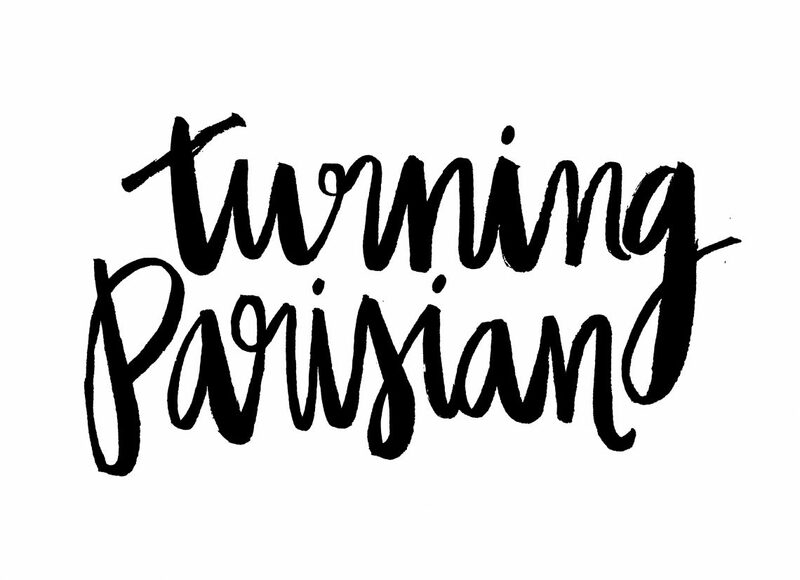 A few years ago I’m pretty sure I didn’t know that “pfw” stood for Paris Fashion Week. I had plenty of acronyms in my life but “pfw” (or indeed “fw” of any kind) just wasn’t one of them. When you live in Paris for a while, this starts to change and you don’t really have any choice in the matter. Apparently the official “pfw” (Women’s Ready-to-Wear) takes place twice a year: once in February/March for the autumn/winter (A/W) collections and once in September/October for the spring/summer (S/S) collections. But then there’s men’s fashion week, haute couture fashion week and, as far as I can tell, a ton of other “fw”s in between. All I know is that a fashion week of some kind or another seems to roll around surprisingly often and I usually don’t have any idea it has arrived until I start to notice the telltale signs. At the outset I’d like to clarify that I do not claim to be a fashionista by any stretch. Quite the contrary: I’m more into the practical and the comfortable than the aesthetics (or “ze look“), which is entirely un-Parisian of me. For example, when it comes to footwear I have no shame shopping at Mephisto (hello Hush Puppies and Naturalizers), I wear compression stockings when I fly long distances and you’re more likely to find me discussing the virtues of comfortable shoes with ladies twice my age than shopping for Louboutins. Another case in point: I recently bought a dress after trying it out in the store, showing it to the (clearly disinterested) shop assistant and thinking I looked just great in it. But when I got it home and saw it on the website I realized that I’d tried it on backwards in the store (à la Sisters). So all of that to say I do not consider myself to have any particular sartorial prowess. Also, I certainly don’t claim to know the ins and outs of the fashion industry (so my apologies in advance for any errors in this post). But that does not mean I can’t spot the arrival of the pfw crowd a mile away. First, you start to notice a sprinkling of tall, pale, Bambi-like girls in the metro or wandering the streets looking lost, presumably on their way to their next “go-see” (yes, I learnt this lingo from many well-spent years watching America’s Next Top Model – thank you mum and dad for the Foxtel subscription). I was surprised to learn at a dinner party recently that these go-sees (or “castings” as they seem to be called outside Tyra Banks’s kingdom) only take place a day or two before the show. The designer I spoke to told me that for her show they cast the models on the Monday for a show on the Wednesday. Why? Because before that the models are in Milan, before that London, before that New York, and so the merry-go-round of fashion weeks continues. Next, you see the fashion “people” jaunting about town – the ones who are clearly not models but are part of the weird and wonderful fashion world (buyers, designers, publicists, etc.). They can often be observed flouncing around in the fancier arrondisements for fashion shows (popular locations include the Jardin des Tuilieries, the Louvre, Place Vendôme, Palais Royale and the Grand Palais), always with smart phone in hand, frequently in sunglasses and usually in black (but with some exceptions – cf. Spongebob Squarepants, above). They can also be spotted in the marais or Canal Saint Martin area for “showrooms”. From what I gather from discussing this with the same designer, “showrooming” involves renting a space, displaying the collection and arranging times for buyers to come by and pick pieces that they like (and then negotiating about cost, orders, mark-ups, mark-downs, etc.). I was told it was actually a very un-glamorous exercise but, although I wanted to believe her, it still sounded glamorous compared to my day job. Observing these trendy types generally, it seems that it is still unfashionable to actually put your arms through the sleeves of your coat (even in winter). Instead your coat should be draped over your shoulders so that it flaps like a cape (see below). I find this puzzling: do they not get cold? Does the coat not fly off in strong wind? Also we can note from the above that this year cropped pants seem to be all the rage with the fashion set (and the hipster set for that matter), but importantly with NO socks, or, if deemed absolutely necessary, VERY short socks ONLY. Again, this rule applies even in winter. I also find puzzling: do they not get cold ankles? Once you start noticing these fashion folk swanking about town, you brace yourself for all the things that inevitably come along with them. First, the traffic gets worse. Uber goes into surge pricing, even at usually non-peak hours like 9.30am on a Wednesday (a perfectly reasonable time to head to the office, or so I like to think). Second, your regular running route through the Tuilieries/Louvre/Palais Royale is blocked because there is a fashion parade (défilé) on there. Third, your usual haunts (or at least the cool places you like to try to go to from time to time to feel cool) are suddenly full of fabulous fashion folk. Good luck getting a table at colette water bar during pfw, which is jam-packed with “ze people” sampling the 60+ types of mineral water on offer even at the best of times. Likewise, be prepared to wait extra long for your maki roll at Bob’s Juice Bar due to the influx of pfw’ers getting their acai bowl hit. And don’t even think about trying to get into the members-only and already über-difficult to get into Silencio on a Saturday night during pfw (see below). Having said all of that, it’s also kind of awesome when the pfw circus rolls into town. It’s fun to see the crazy outfits go by in the street and to do the odd bit of celebrity spotting. It’s also cool to see how the big fashion houses dress up some of the monuments you’re used to seeing every day (my favourite being when Dior built a mound of bluebells in the Louvre courtyard last year). So all in all, pfw aint that bad. I’ve just got to work out how to wear my coat on my shoulders without it falling off. Ha, love the blog Di – every now and again i try the whole “coat on the shoulders” style, but can’t get the hang of having a warm back and chilly torso! Looking forward to reading more!